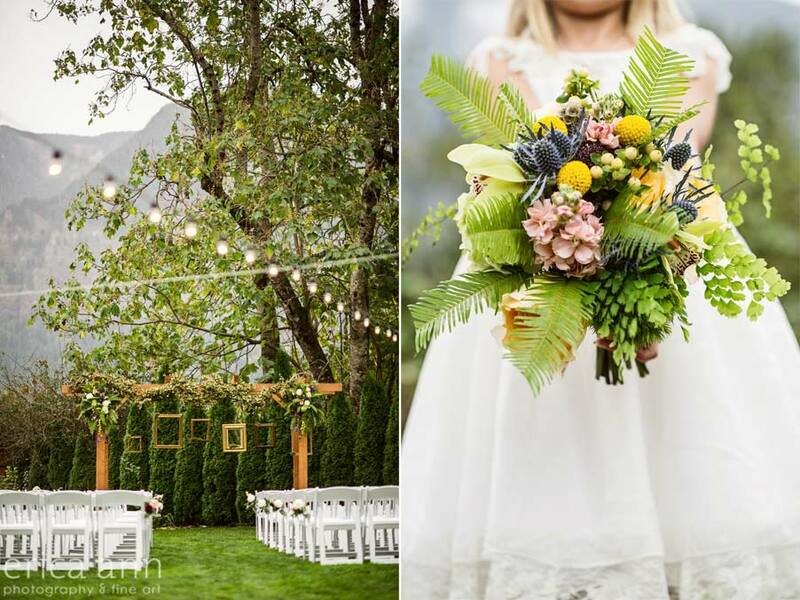 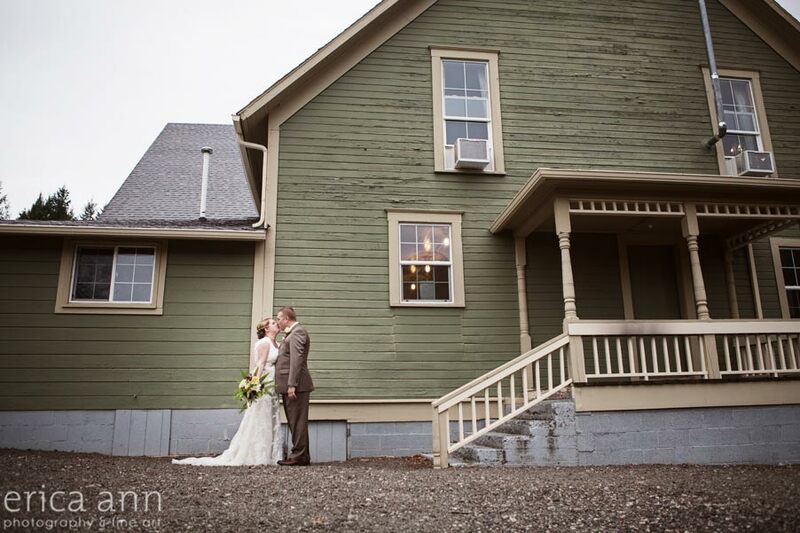 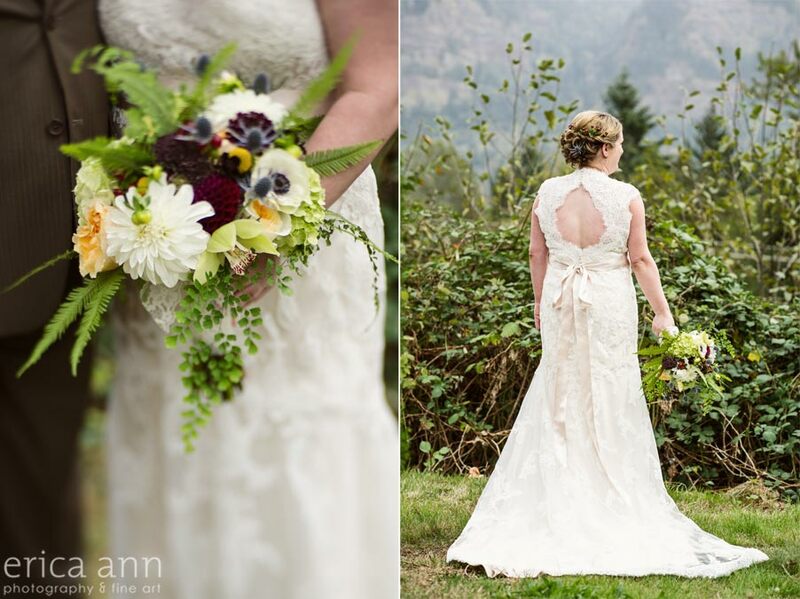 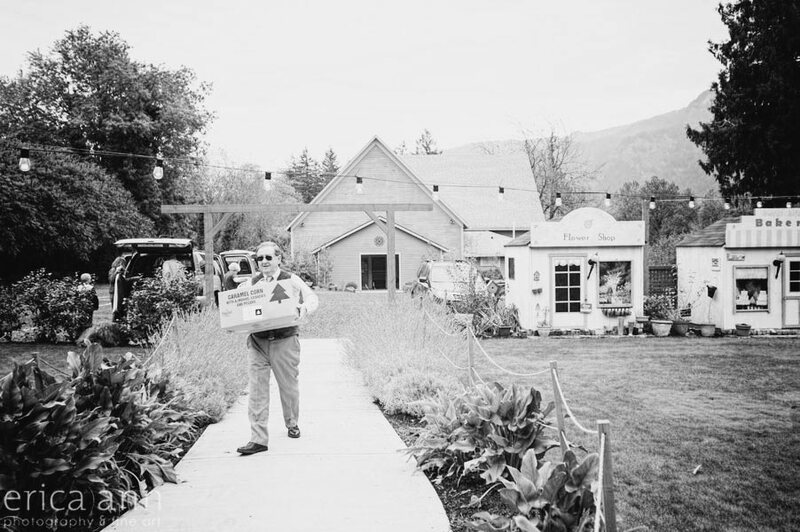 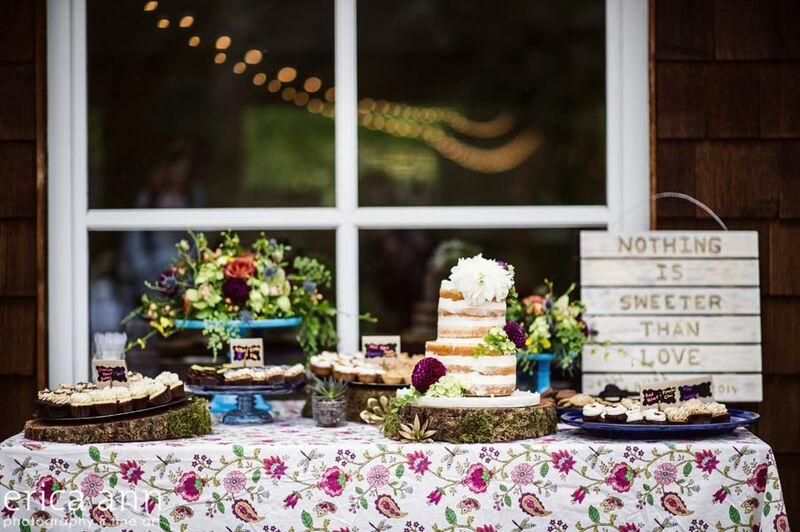 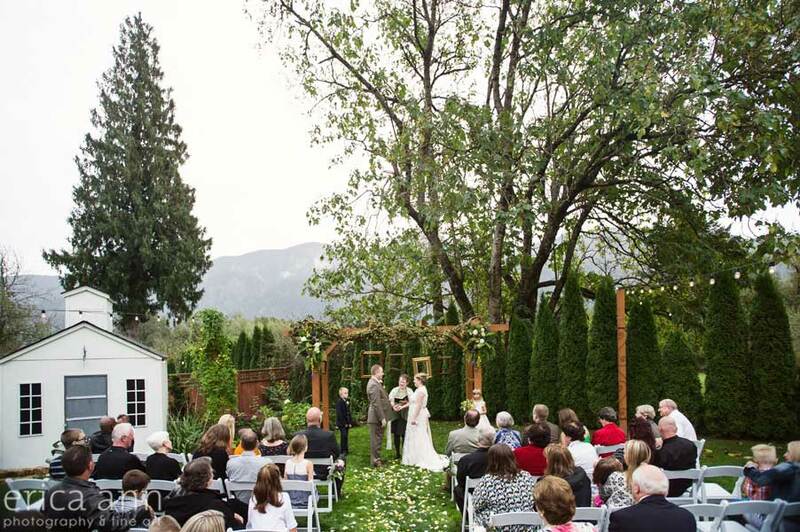 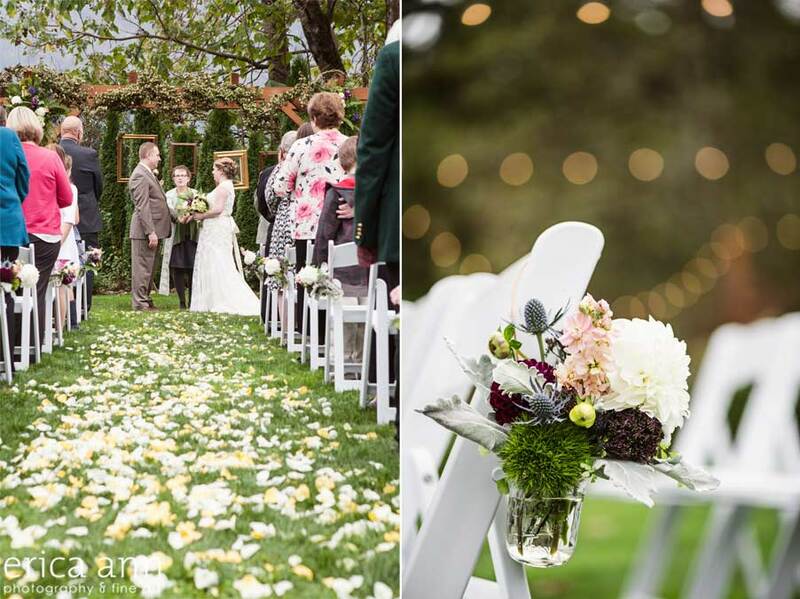 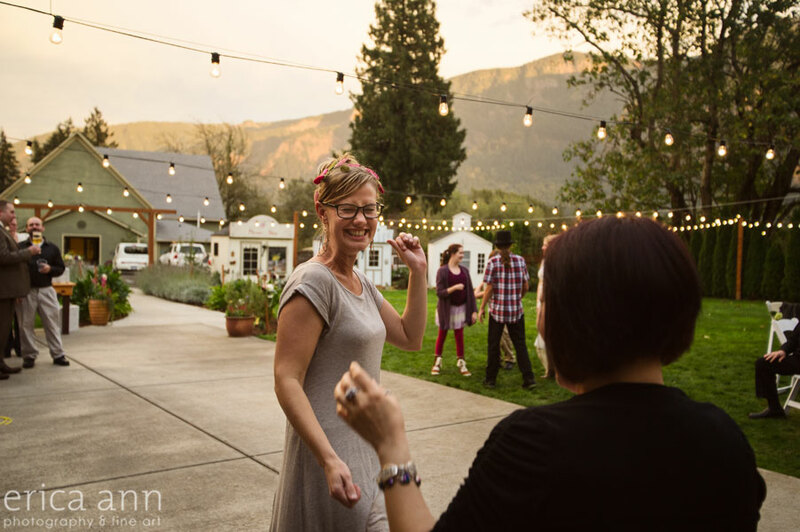 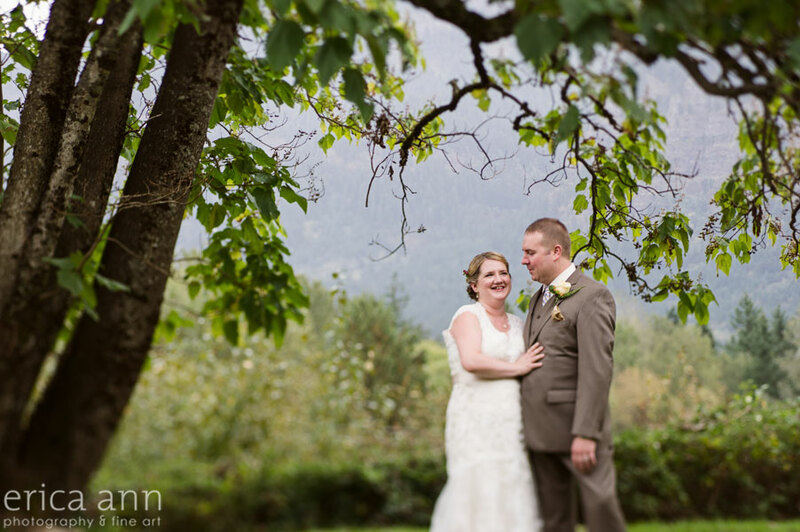 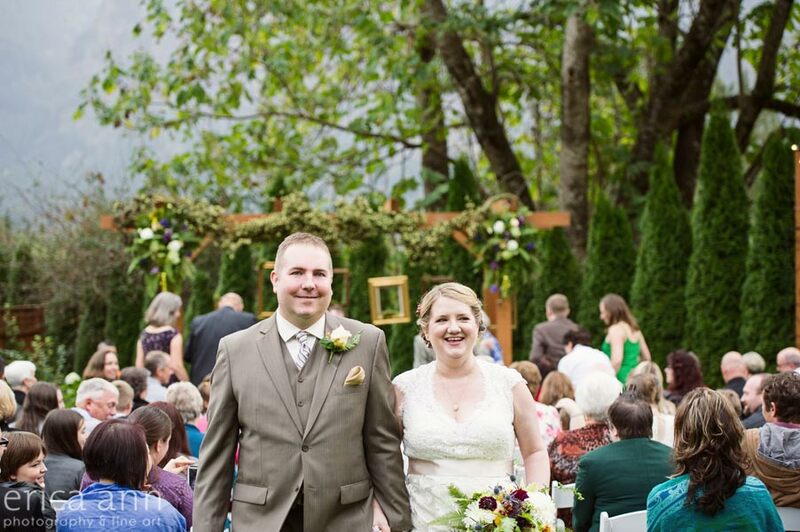 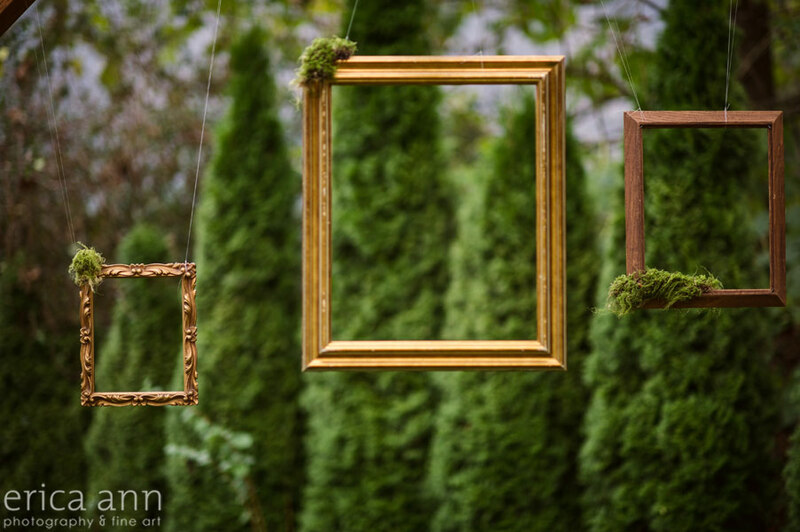 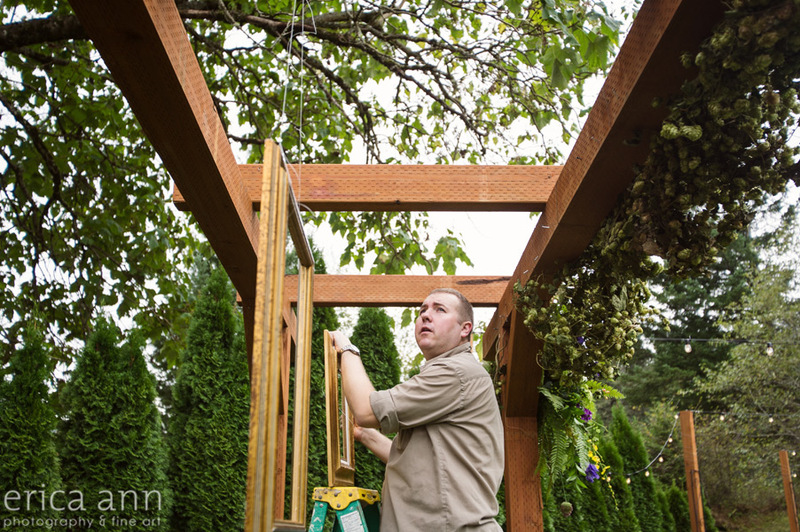 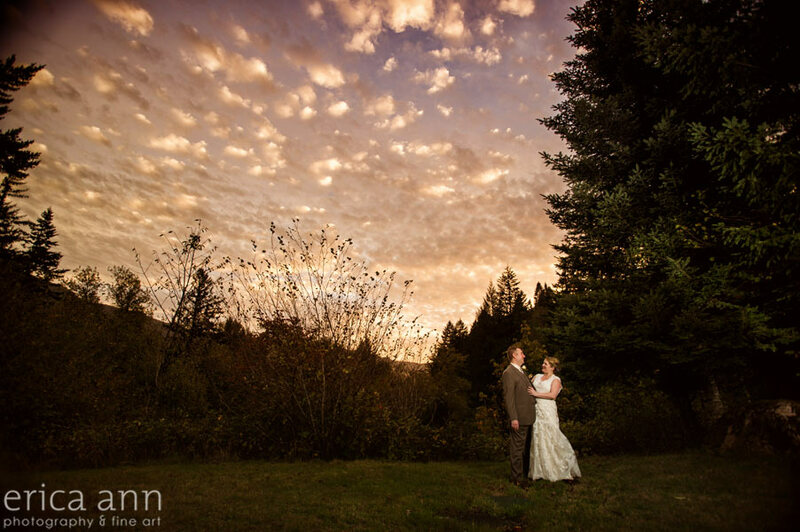 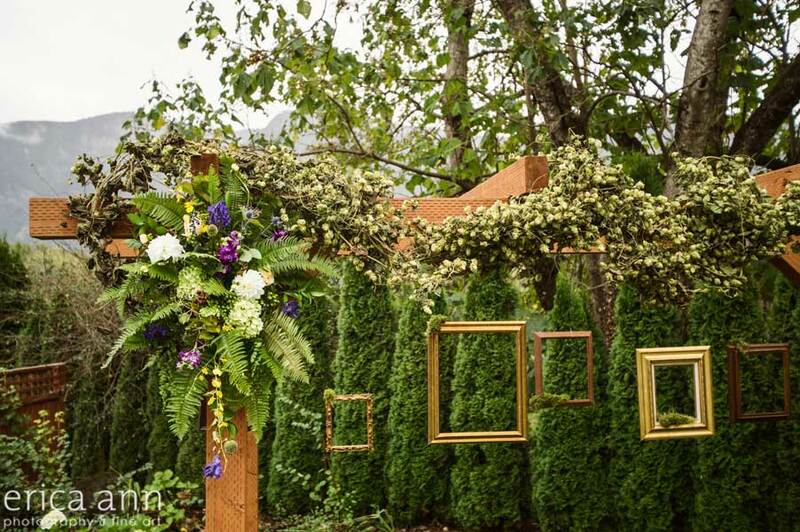 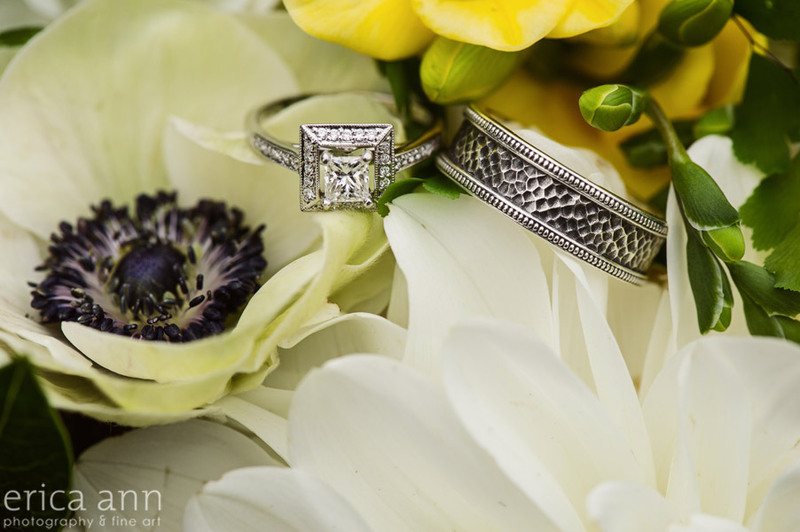 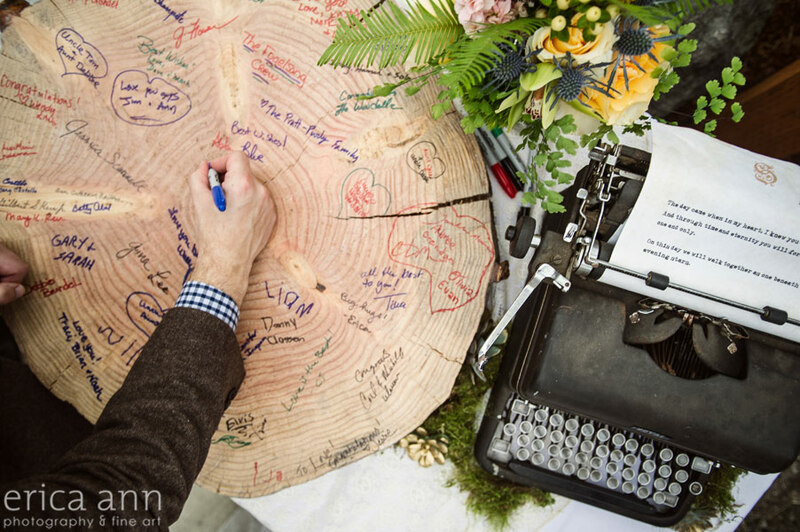 Cape Horn Estates is a wedding venue in Stevenson, Washington. 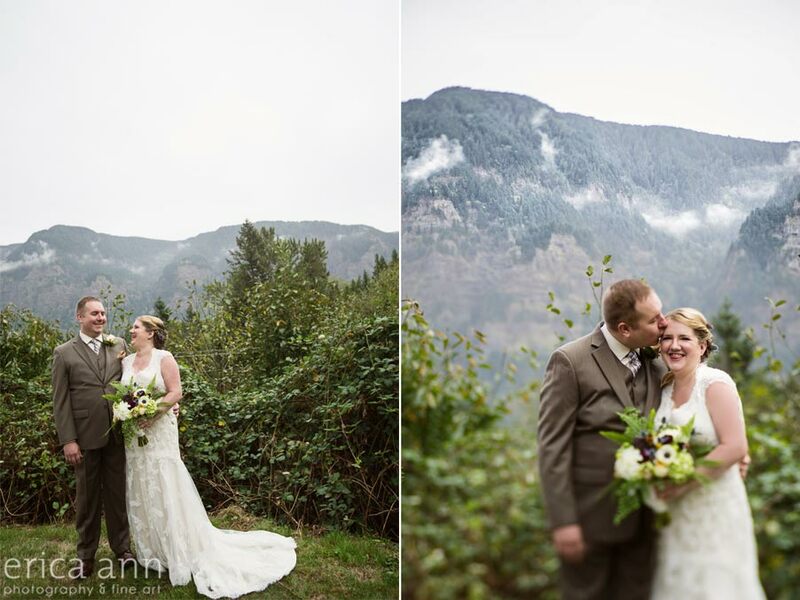 It has some beautiful views of the gorge! 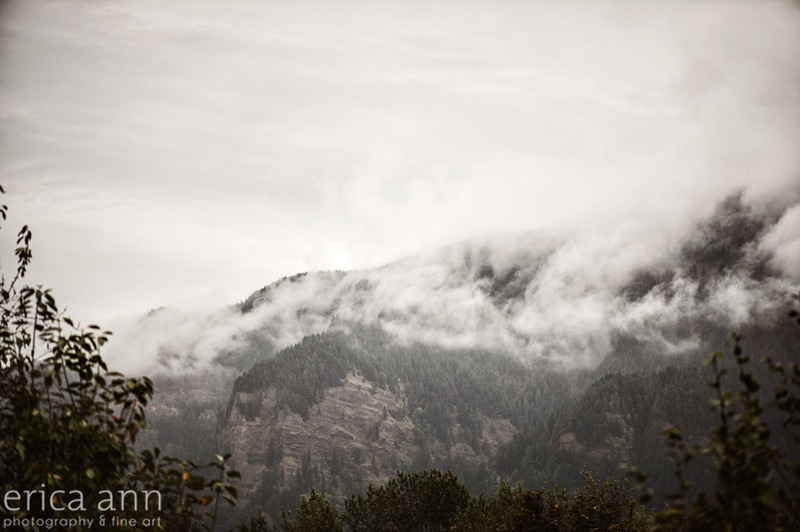 I was LOVING the low fog around the hills that day. 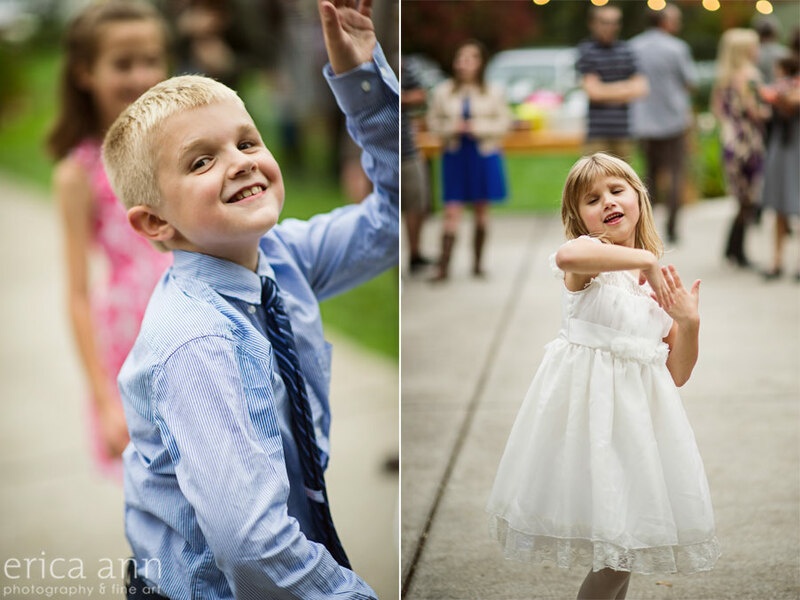 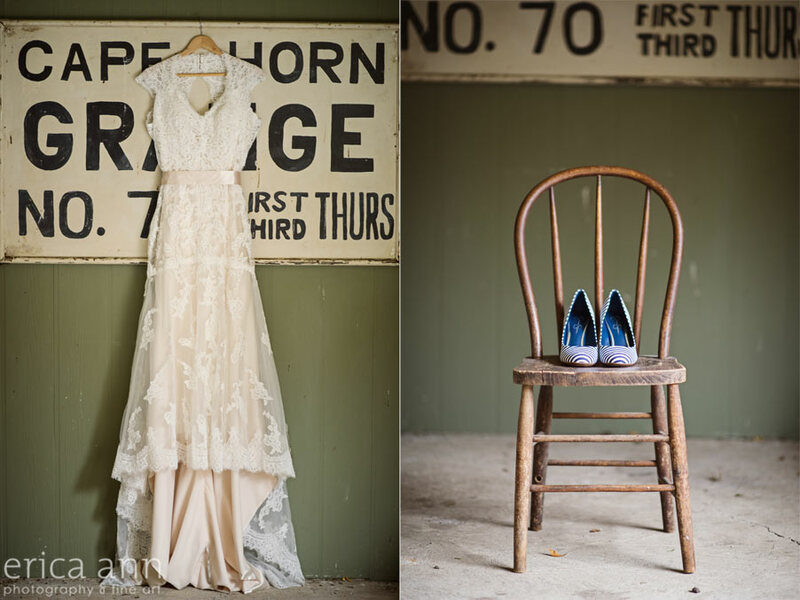 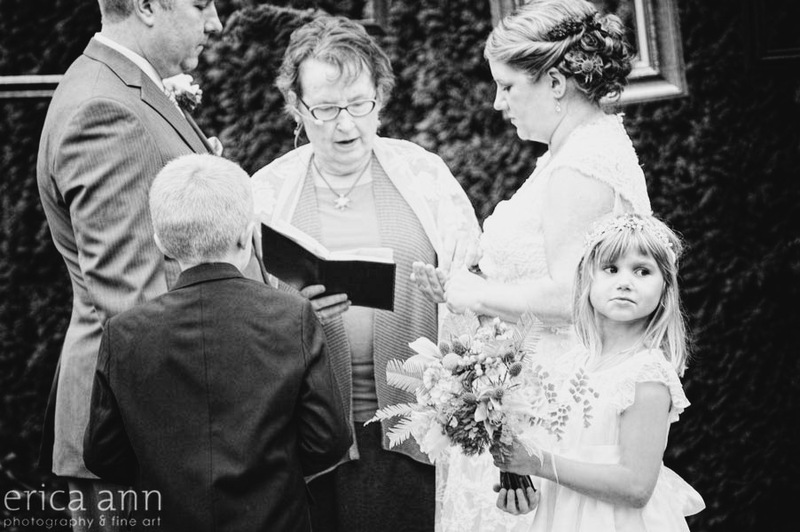 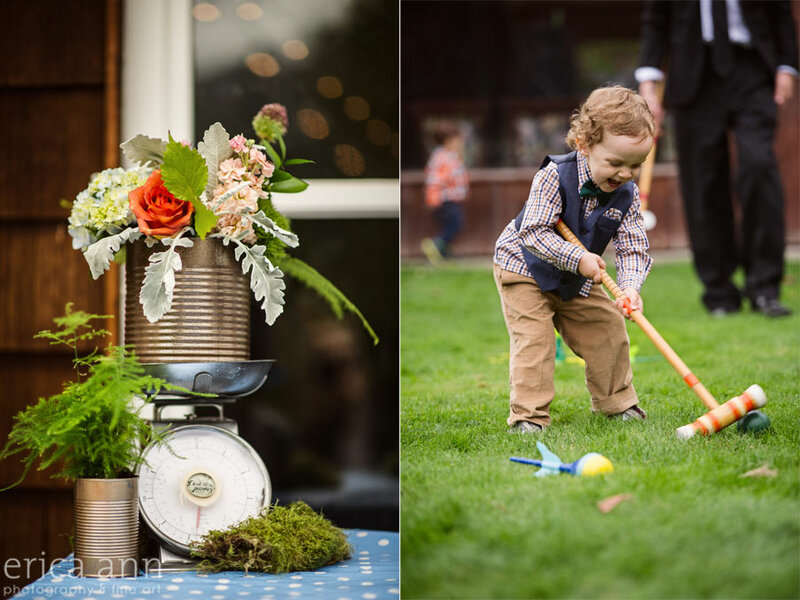 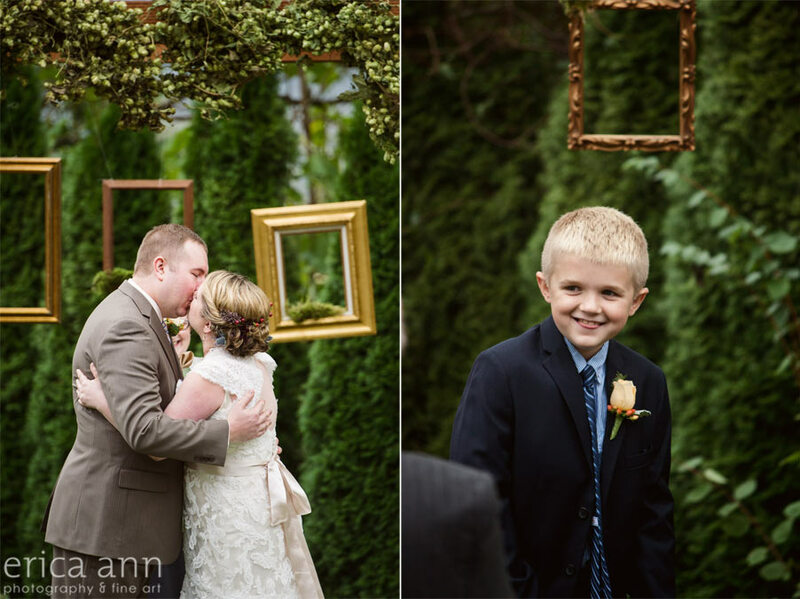 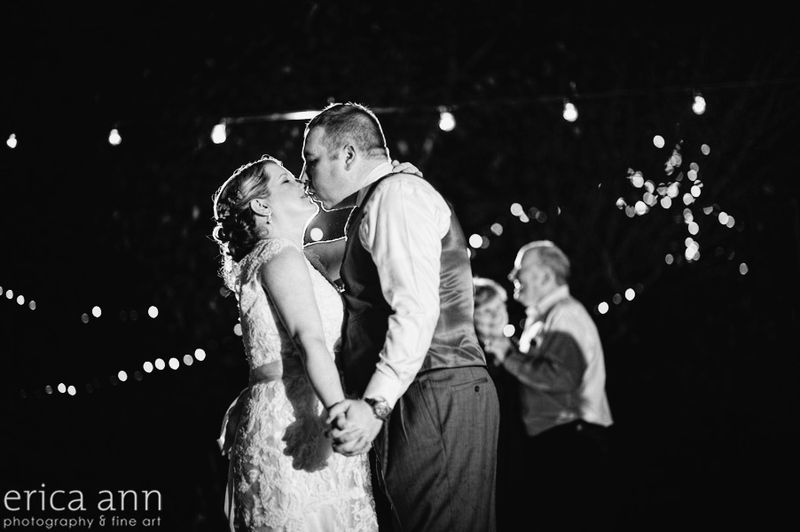 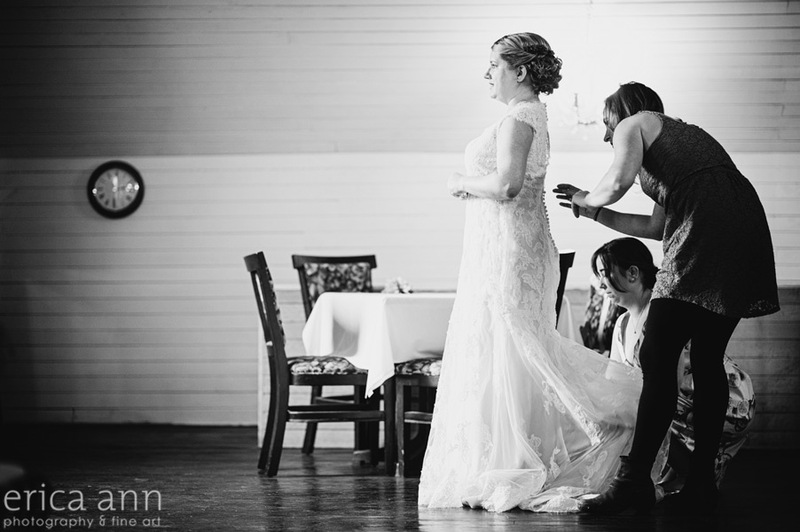 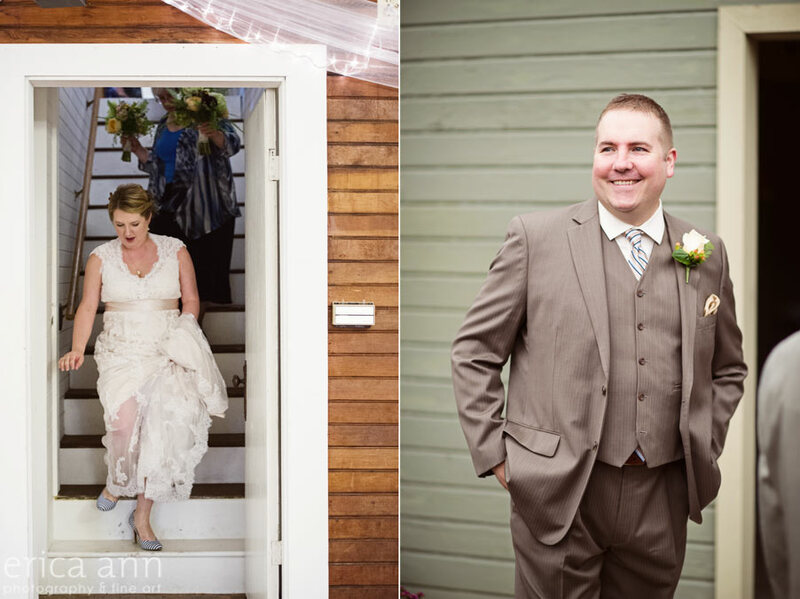 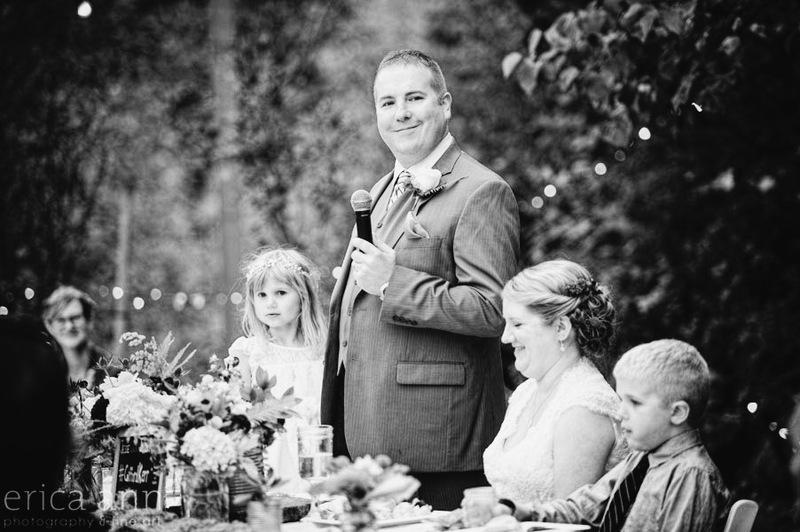 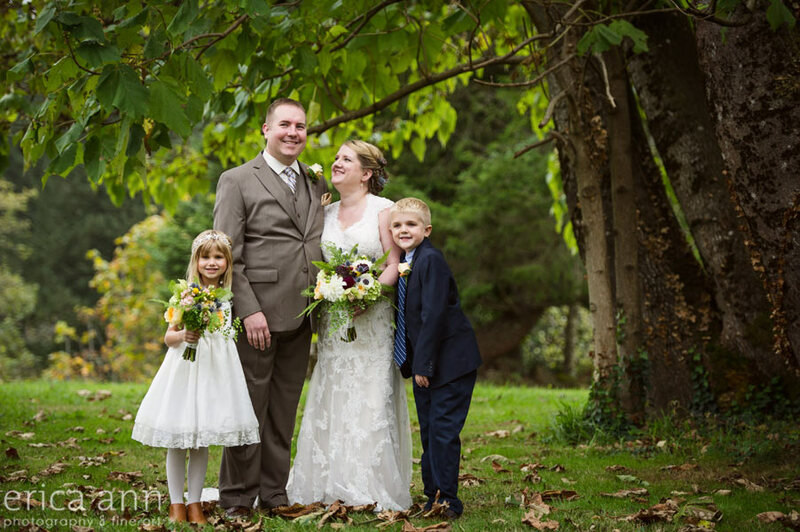 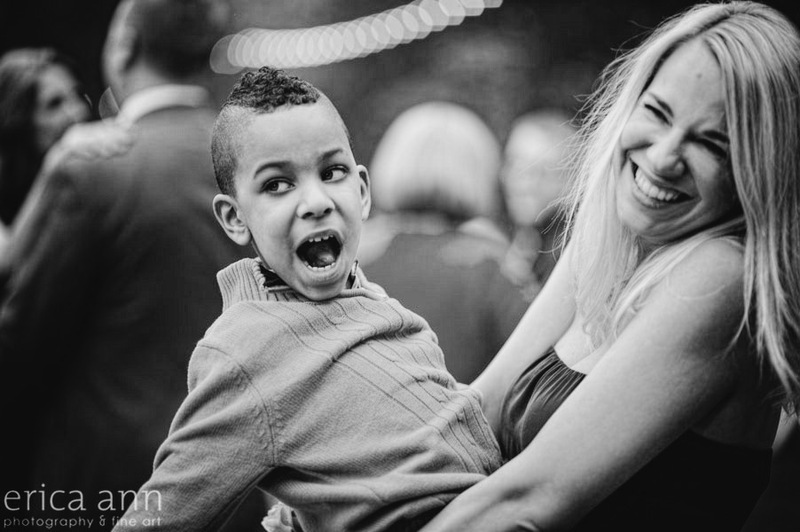 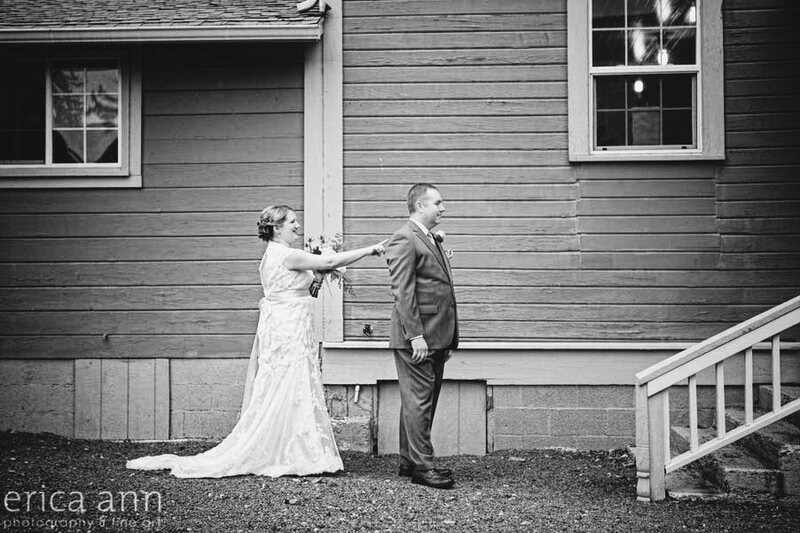 Jesse and Laura’s wedding was a wonderful day full of family and a laid back DIY atmosphere. 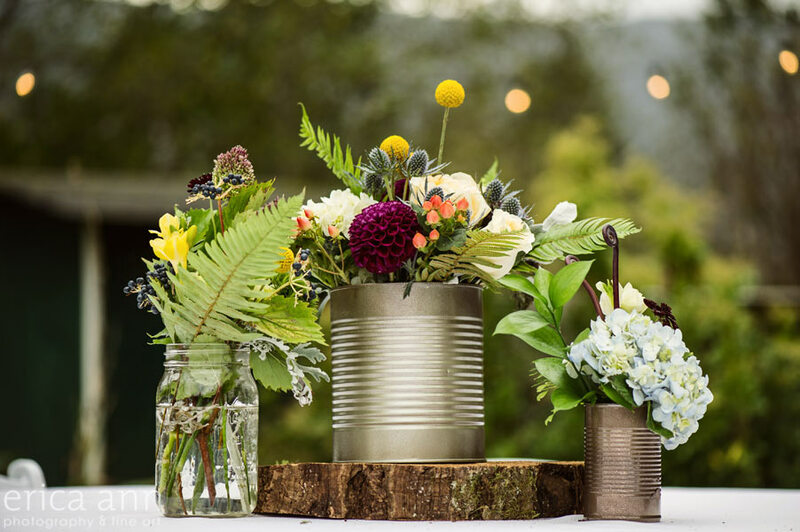 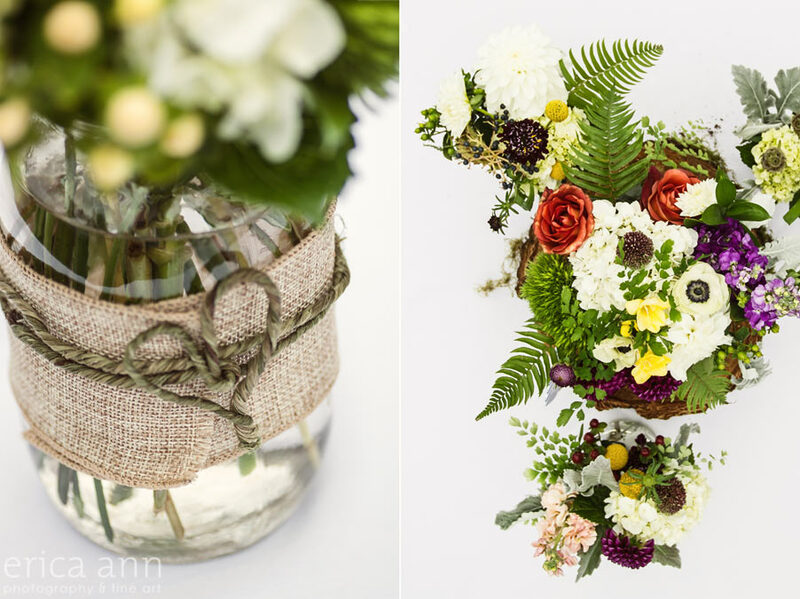 Usually laid back and DIY don’t go together in my experience, but when your family owns a florist shop and they all come together for your wedding, that’s just what happens. 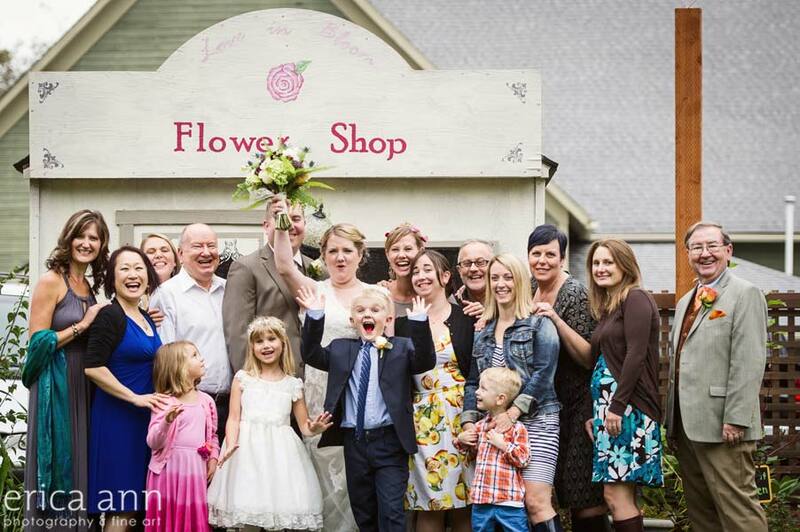 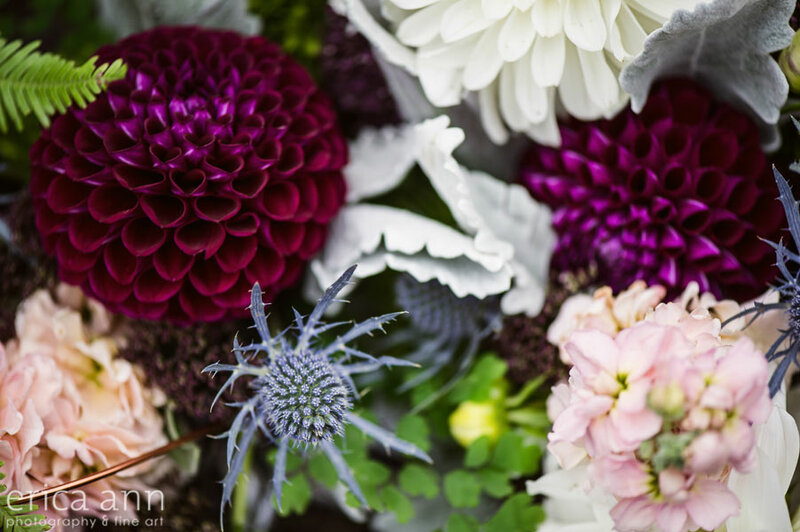 Laura’s grandpa started Gifford’s Flower Shop in 1938 in downtown Portland, just a few blocks from my studio! 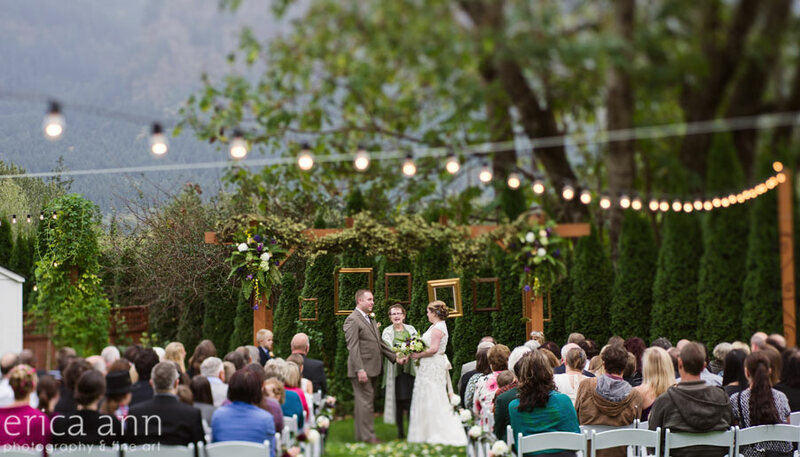 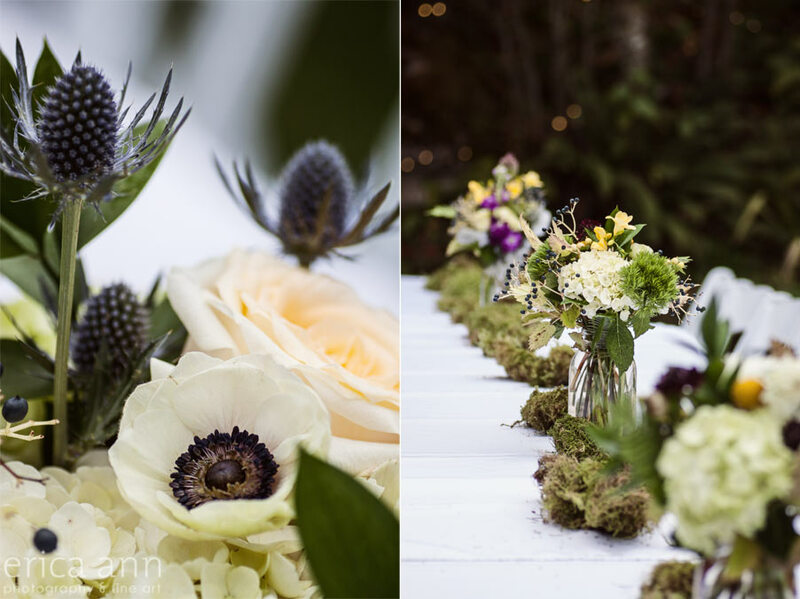 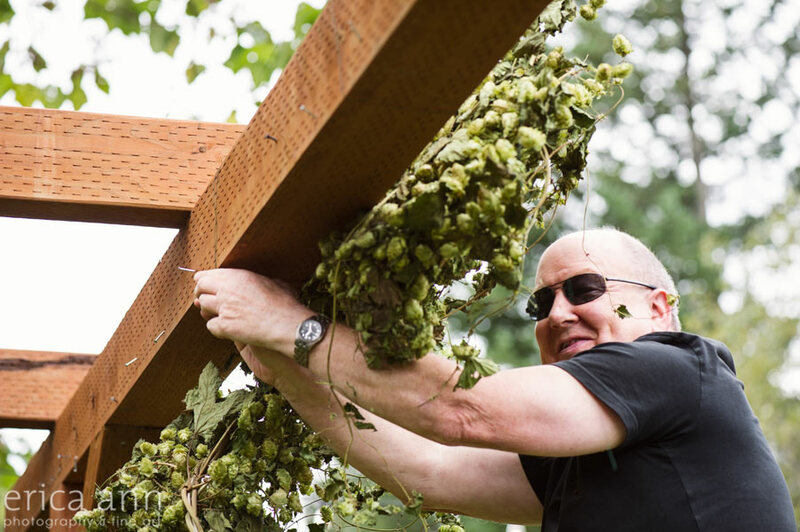 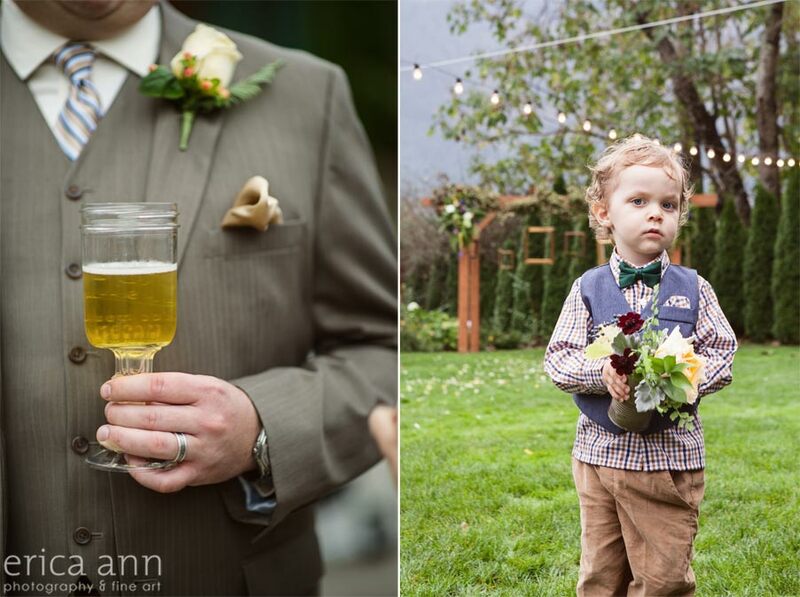 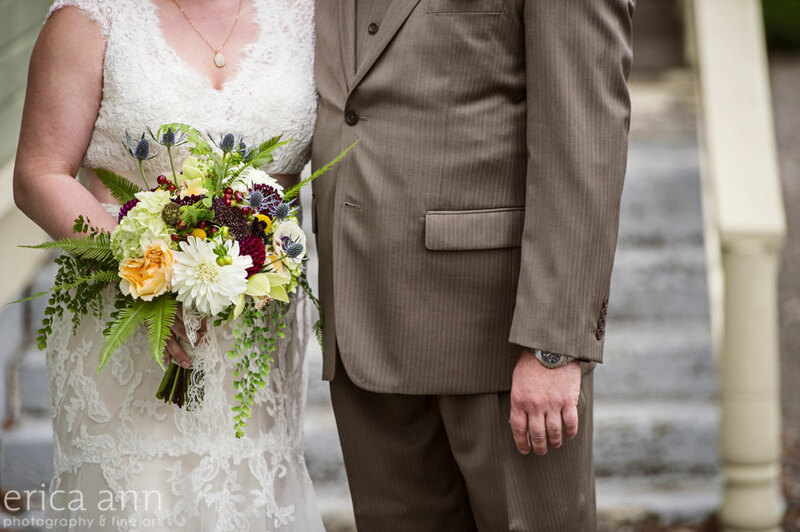 Her dad put up their gorgeous hop altar arrangement that was full of beautiful local blooms. 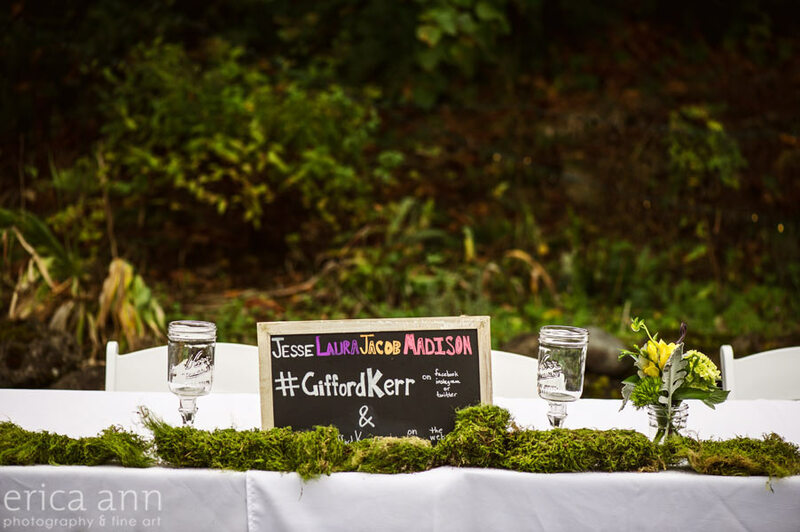 They also used plenty of moss and ferns for that authentic NW feel. 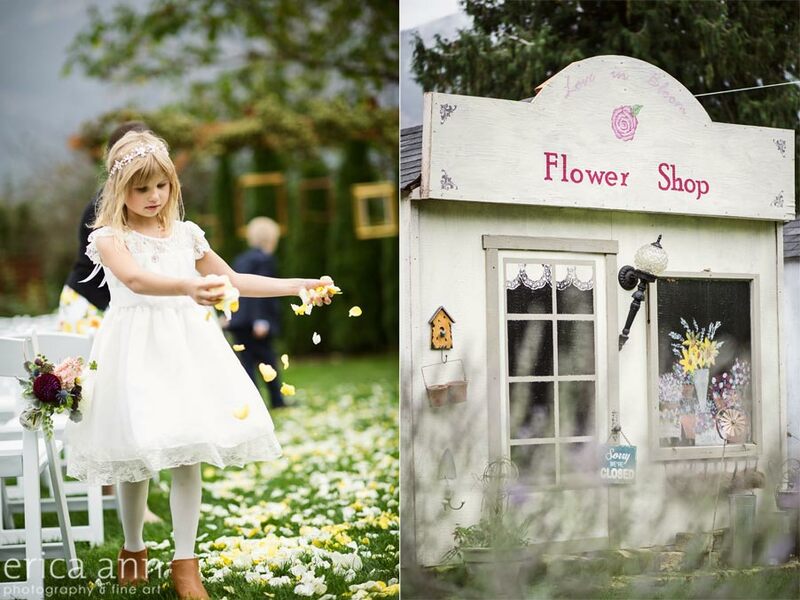 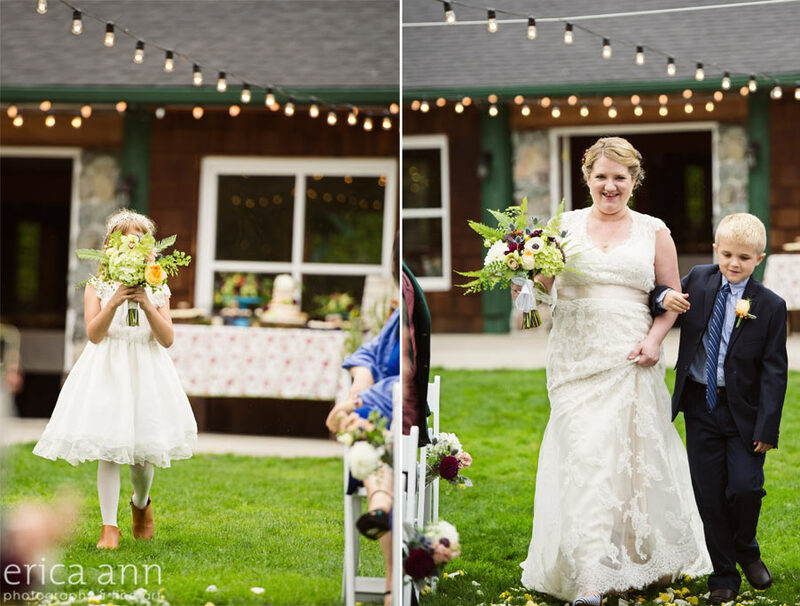 Laura’s daughter was the flower (face) girl and her son walked her down the aisle. 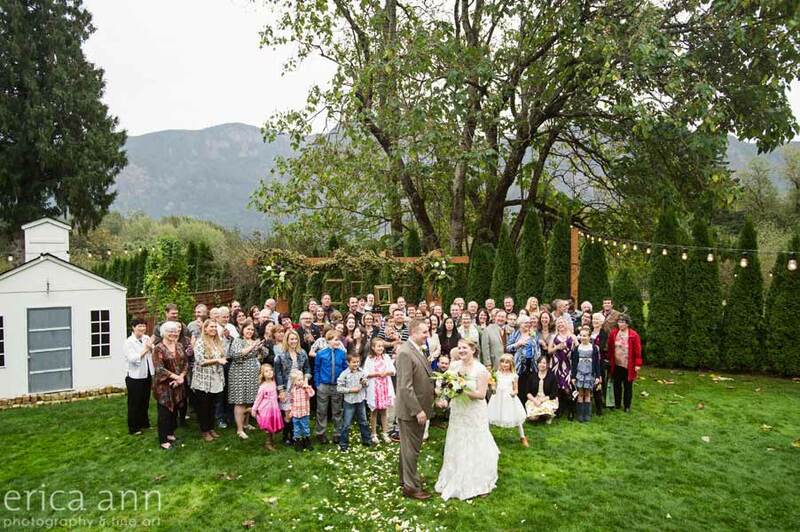 After the wedding ceremony we got a big group photo of everyone that came and also a family photo of everyone that worked at Gifford’s Flower Shop! 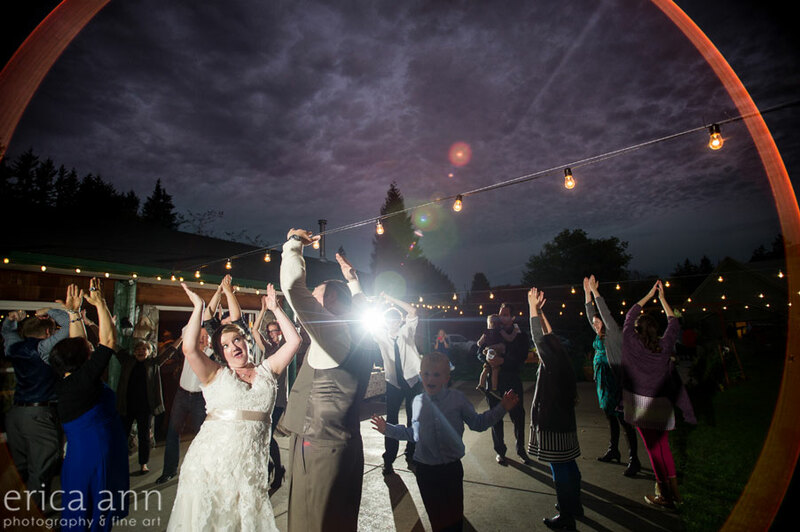 For the reception, everyone danced, drank and enjoyed the stunning sunset! 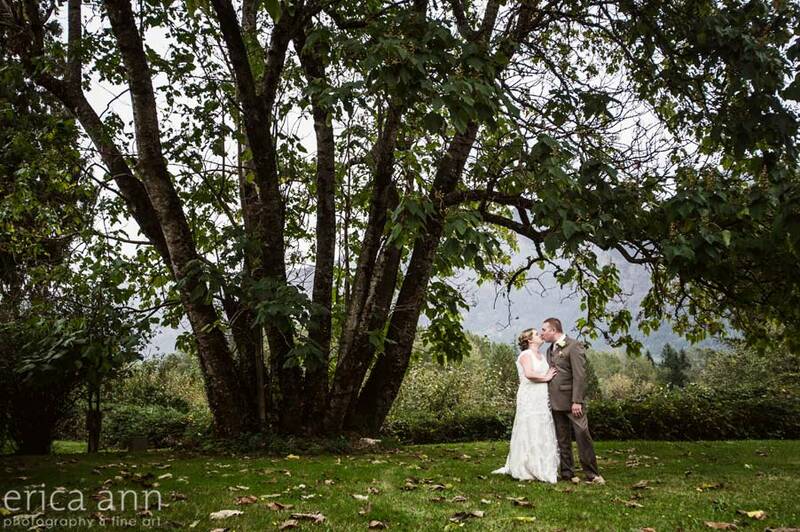 Seriously, it was a great day. 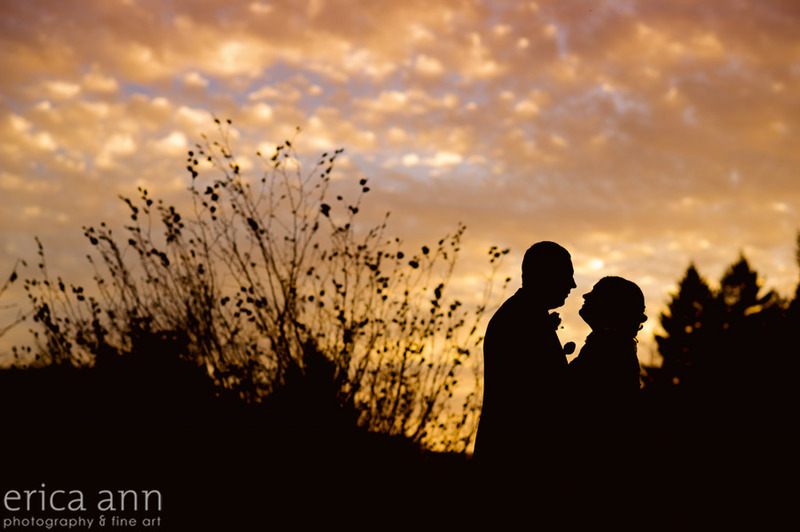 I do love being a wedding photographer. 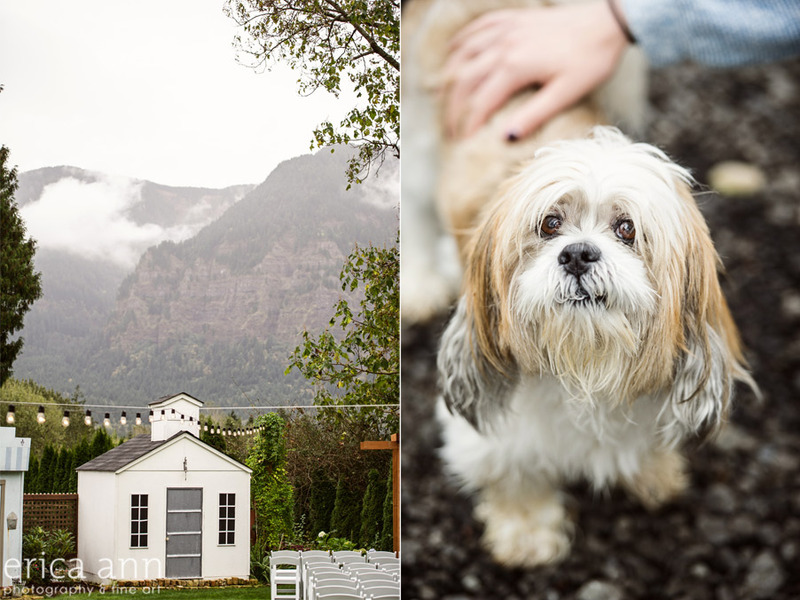 Special thanks to Kaia for helping me with lighting and second shooting!